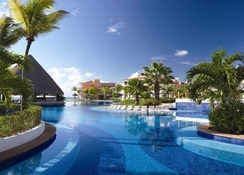 Moon Palace Cancun is an impressive all-inclusive beachfront resort close to all the main attractions in Cancun. 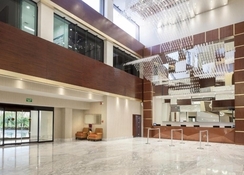 Its luxurious rooms, large pool areas, golf course, restaurants, bridal facilities, business facilities & services – makes the hotel ideal for vacationing, organizing a wedding or an incentive trip. In terms of fun and entertainment, you will find a wide variety of recreational activities for all ages, as well as evening entertainment. 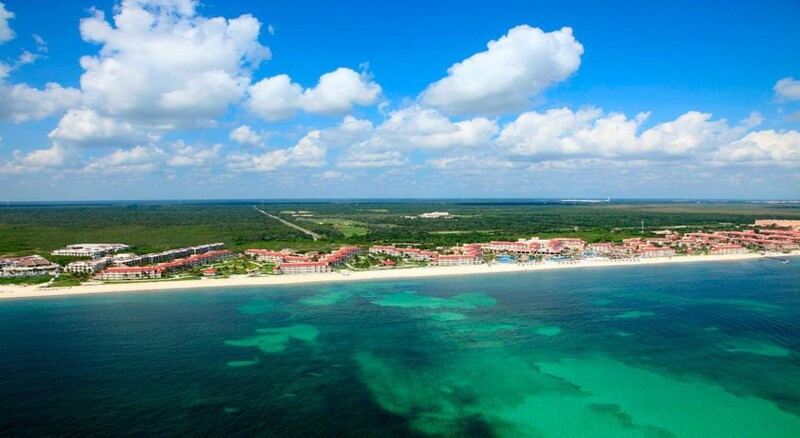 Water and land sports are another fun proposal during your stay at this fantastic beach hotel in Cancun. 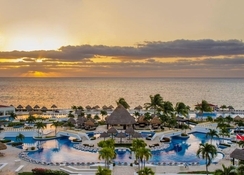 Moon Palace Cancun also has a luxurious spa with 39 treatment rooms, a nightclub for 300 people with a VIP area and a wave simulator for surfing. The gastronomic options are several, you have choices from vegetarian alternatives to the highlights in international cuisine which include Mexican, Italian, Oriental, Caribbean, American and Brazilian. Moon Palace Cancun, located about 20km from downtown Cancun, is 20km from the picturesque fishing village of Puerto Morelos. 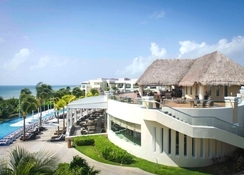 The hotel is an hours' drive from Xcaret Park. 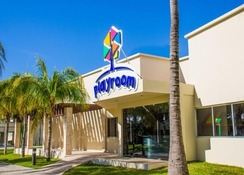 Playa del Carmen is 52km while the Malecón Americas shopping centre is 21km from the property. The Cancun International Airport is at a distance of 10km. 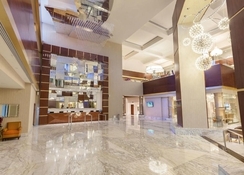 Rooms at the Moon Palace Cancun speak of comfort, space and luxury. They hotel provide amenities like a private balcony, a king size bed or double beds, whirlpool tub, smart TV with YouTube, vTuner and the weather channel, as well as a host of splendid amenities that characterize the Palace. Guests can choose between Superior Deluxe Resort View, Superior Deluxe Garden View, Junior Suite Golf Course, Superior Deluxe Ocean View, Superior Deluxe – Ocean Front, Concierge Level, Wellness Suites, Ambassador Suite, Family Superior Deluxe and Two Bedroom Presidential Suite. The Momo Restaurant creates culinary magic with its authentic Asian cuisine. Get the best of Mexican Cuisine at the Los Caporales Restaurant. Visit the Cafe Manglar to get majestic views of the Caribbean Sea and an all-day food and drink menu. The La Gondola Restaurant offers Italian cuisine and serves guests breakfast and dinner. Pier 8 offers the best seafood and is located by the pool. Lounge by the outdoor pools and visit the golf course nearby. Get refreshing massages and steam baths at the hotel's spa. The hotel has a state-of-the-art fitness centre and a host of activities to make your Cancun vacation memorable. Guests can try the various activities such as kayaking, snorkelling, sailing, windsurfing, basketball, scuba diving and more. Brilliant holiday, staff at all resorts we’re amazing, helpful and friendly. Was based at Nizuc but was able to get either a golf bunny or coach to the Sunrise and Moon Palace resorts, all 3 had really good kids clubs but I would say Moon Palace kids club was out of this world, I would recommend ten times over, Sunrise kids club came a good 2nd. The restaurants were great, good selection of foods and a variety of dishes. Pools for Sunrise and Moon Palace were the best for children. Lived that we were able to go to the beach resort on the main strip and was able to use all inclusive facilities there too. Not the best pool or kids club there however , was better for couples or younger people, rooftop bar there is amazing with the most beautiful views of the sea. Best resort I have stayed at ever and would definitely re-visit with my family as very family oriented.